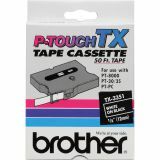 Brother P-Touch TX Label Tape Cartridge - TX Series laminated tape features standard adhesive designed for flat surfaces like office paper, file folders and binders. Use in hot and cold environments. Laminated tape withstands water, grease, grime, abrasion, UV, spills, heat and cold. 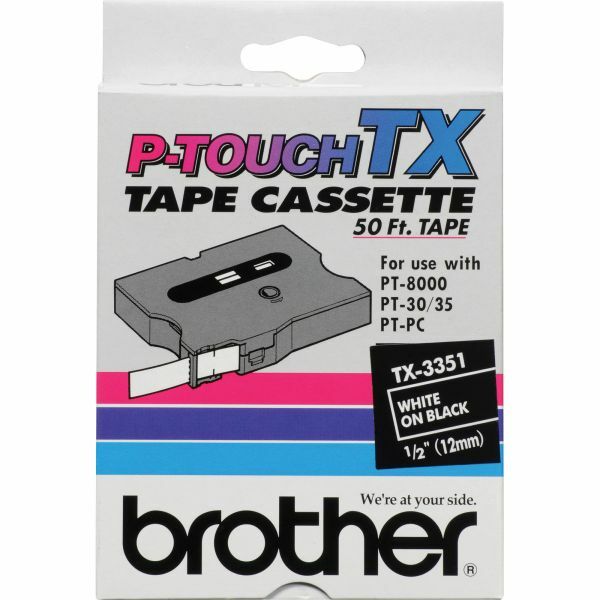 Use lettering tape with Brother PT-30, 35, 8000 and PC machines. 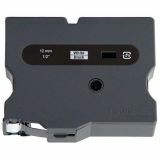 Tape cartridge yields 50'.